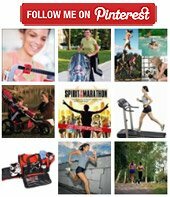 Treadmill running tips, here are some to help you get the most of your training on the treadmill. Set the incline to at least 1% to make it more closely compare to running outdoors. The reason for this is that when you run outdoors, you are working just to propel yourself forward, whereas the moving of the treadmill belt sort of does this for you. Here is a helpful site to help you determine the pace you are running on the treadmill. At best, you won't get in as good of a workout. At worst, it can be dangerous. If you find yourself holding on, you are probably either going to fast and need to slow down a little or are going to slow and need to speed up. A friend of mine gave me a helpful tip once about running on the treadmill. 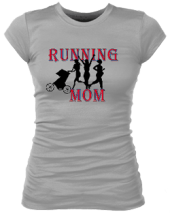 She said that every time she finds herself running with her chest up against the front of the treadmill, she speeds up. 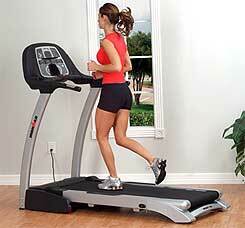 Running in the middle of the treadmill will also help you run with a more natural gait. Running on the treadmill can sometimes be a bit boring. Here are some tips for making the treadmill less dreadfull. There is a big difference between running outside and running on the treadmill, so if you are planning to do an outdoor race, you should make sure that you do some of your training outdoors, just to get a feel for it. When you first start running outdoors, you might be a bit slower than what you're used to running on the treadmill, but once you get adjusted, you may find that you run even faster outside then you do on the treadmill. Just give yourself time to adjust. Here are some great treadmill interval training workouts. For help maintaining your treadmill, visit www.treadmilldoctor.com.